FSC is an international, non-governmental organisation dedicated to promoting responsible management of the world's forests. It was founded in 1993 in response to public concern about deforestation and demand for a trustworthy wood-labelling scheme. There are national working groups in more than 50 countries including the UK. 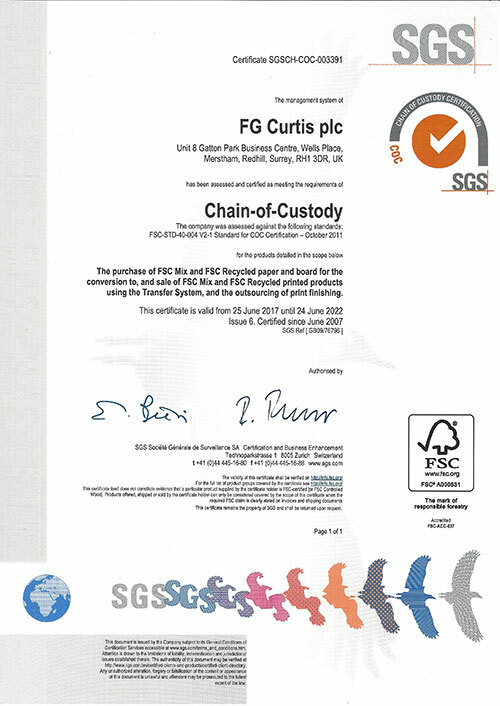 FSC UK is a registered charity. It is supported by NGOs including WWF, Greenpeace and the Woodland Trust. 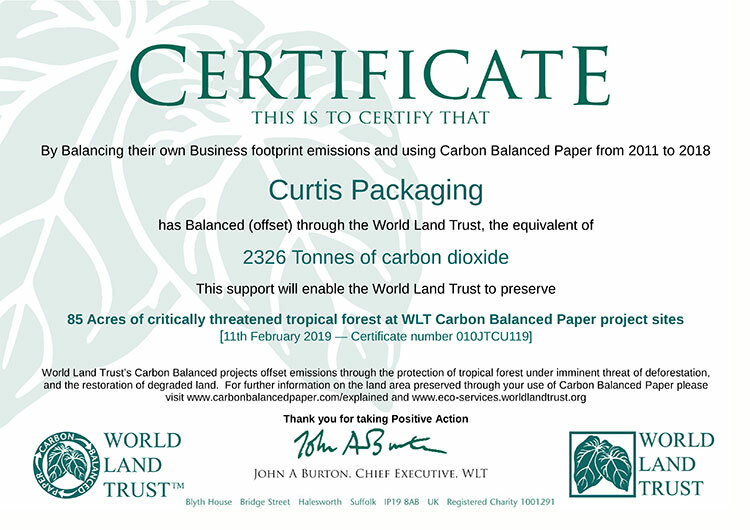 PEFC is the world's largest forest certification organisation. 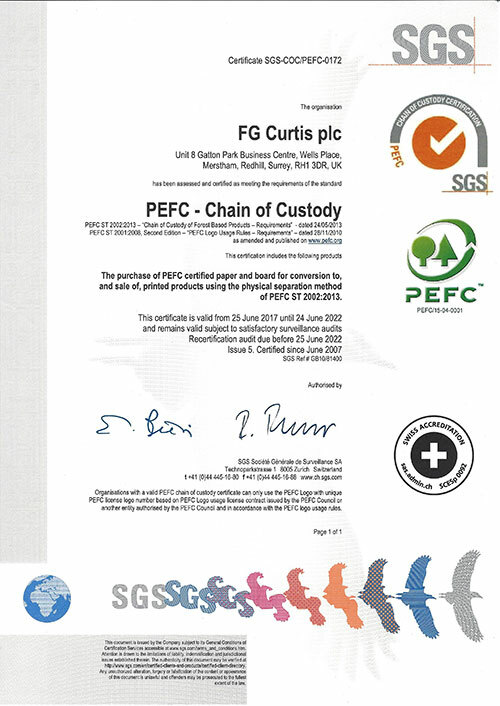 An international non-profit, non-governmental organization dedicated to promoting sustainable forest management, PEFC is the certification system of choice for small forest owners. 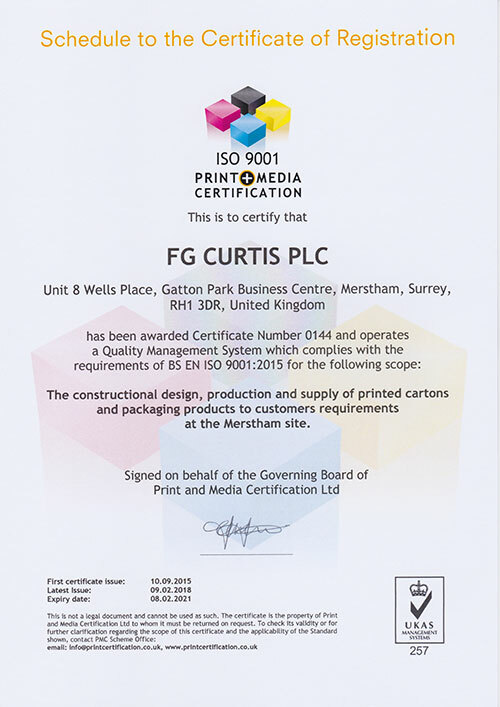 F G Curtis plc has been certified to BS EN ISO 14001 and ISO 9001:2015 for the following scope. 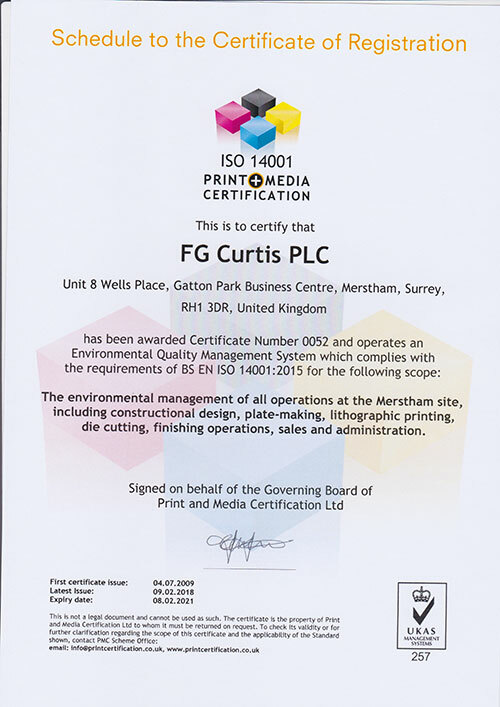 "Constructional design, plate-making, lithographic printing, die cutting, finishing operations, sales and administration at the Merstham site." 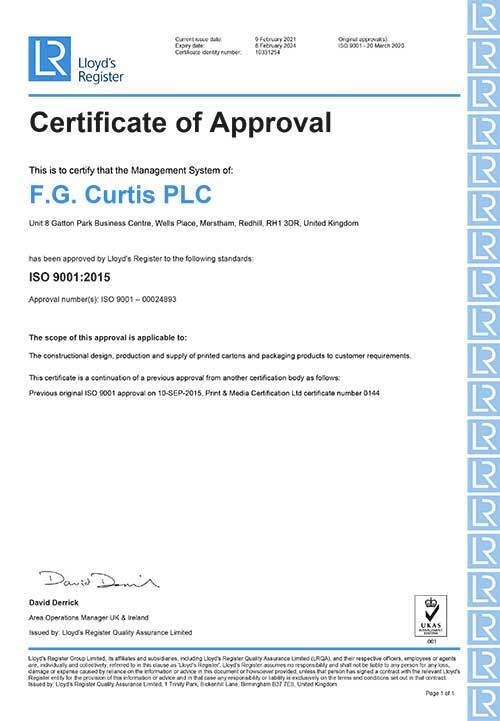 Certification is subject to periodic surveillance and re-assessment.